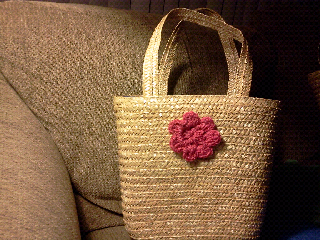 Target has straw bags for $2.50. At that rate, they cost less than a gift bag! Since I have gifts for Gracie and Luke's teachers, I thought these bags would be a great alternative to paper gift bags. Here's the thing: they really needed to be personalized. 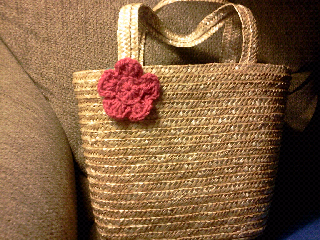 So, out came my crochet hook and a number of flowers later, I had the beginnings of two really cute bags. The flowers were sewn on with a tapestry needle and the same yarn used for the flowers. Can i have a pattern of this beautiful bag?